There were 742 press releases posted in the last 24 hours and 153,507 in the last 365 days. /EINPresswire.com/ -- NEUHAUSEN, SWITZERLAND--(Marketwired - Apr 10, 2017) - Tyco Retail Solutions (www.tycoretailsolutions.com) partnered with several industry groups to examine the value of RFID technology to help ensure inventory accuracy and enable store-level fulfillment. This new research validates the use of RFID to combat inventory distortion and increase inventory accuracy and visibility as the essential foundation for today's unified commerce. IHL Group's study, Retail's Inventory Distortion Problem: Sizing it all up, spotlights the enormous global inventory distortion problem for retailers today. This combination of out-of-stocks (OOS) and overstocks is an estimated $1.1 trillion problem for the retail industry1. Because of this issue, retailers lack confidence in their availability to promise on-hand stock and, as a result, are cautious in leveraging all item quantities for online sales and store fulfillment options such as buy online, pick-up in store (BOPIS). The risk to the customer experience is too high and the average loss of 8.7% of total sales due to inaccuracy is too much2. With inaccurate inventory visibility, retailers struggle to successfully implement unified commerce initiatives because of the inability to cost-effectively meet shoppers' demands for "buy anywhere, get anywhere" shopping. The key to offering various fulfillment options is having visibility into the true real-time inventory in every store enabled through item-level RFID. Adopting this technology and regular cycle counting processes helps retailers to prevent inventory distortion and can increase inventory accuracy up to 99% and maintain it at 95-99%4. With enhanced inventory accuracy, the number of shoppers who can find the inventory they want can increase sales by 5% to 25%5. "As today's consumers continue to seek merchandise where and when they want it, retailers must prioritize the implementation of technology that supports a unified commerce strategy," said Brent Brown, Vice President and General Manager, Inventory Intelligence and IoT, Tyco Retail Solutions. "RFID-based solutions enable retailers to confidently present accurate real-time in-stock positions to meet today's customer expectations and maximize business outcomes." Item-level RFID data is arguably the single-most-important merchandise-related information available to help retailers better provide accurate inventory insight to their customers. Recently, the Platt Retail Institute released detailed findings on RFID's quantifiable benefits based on extensive research with Macy's and its RFID program. 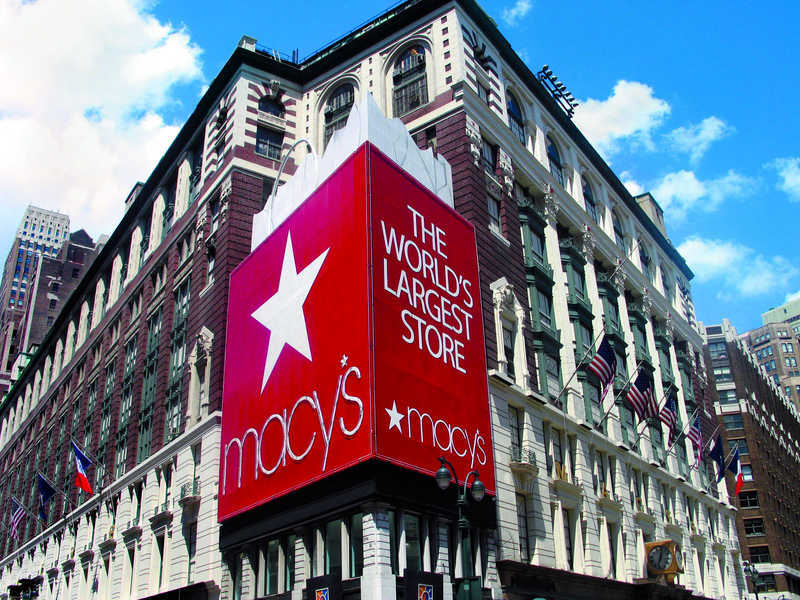 Macy's has been a pioneer in deploying item-level RFID, utilizing Tyco Retail's RFID-enabled inventory solution for many years. This extensive research revealed inventory accuracy results indicating that Macy's was accumulating inventory variance at a rate of 4-5% monthly before implementing RFID and monthly cycle counts. With regular RFID cycle counts, the variance was maintained at an overall 2-4.5% variance, with fewer markdowns across the company's inventory. In addition, making every single unit of selected RFID store merchandise available for sale resulted in quantifiable increases in sales, units picked and order fulfillment rates. This is critically important for Macy's as nearly 20% of the company's in-store merchandise exists as single units. They also realized measurable savings in transportation costs, markdowns and inventory levels. The Platt study details extensive research for four unique store RFID use cases, and for each, the pilot RFID stores significantly outperformed the non-RFID stores6. Steven Platt, Director and Research Fellow at the Platt Retail Institute, and Bill Connell, Senior Vice President of Logistics and Operations at Macy's Inc., will be presenting their findings on the value of RFID for inventory accuracy and availability during the speaking session, "Sell More and Lose Less: Quantifiable Benefits of RFID," at the Retail Asset Protection Conference 2017 on April 11. Tyco Retail Solutions, part of Johnson Controls, is a leading provider of analytics-based Loss Prevention, Inventory Intelligence and Traffic Insights. Tyco's solutions provide real-time visibility and predictive analytics to help retailers maximize profits and enhance the customer experience in a digitally-driven shopping world. With over 1.5 million data collection devices in the retail marketplace, Tyco captures 40+ billion shopper visits annually to empower retailers with actionable insights to drive better operational performance. Worldwide, Tyco helps protect 80% of the world's top 200 retail chains with its premier Sensormatic®, ShopperTrak® and TrueVUE™ brands, as well as a full suite of premium safety and security solutions. For more information, please visit TycoRetailSolutions.com or follow us on LinkedIn, Twitter, and our YouTube channel.